How ‘Smart’ Should You Get When Purchasing a New Thermostat? Dear Ted: Today, many thermostats offer great new technologies and can do things thermostats of the past simply could not do. That said, it’s certainly worth asking if these new thermostats can save enough money to justify the extra cost. The main benefits of a manual thermostat like yours are that it’s simple to operate and there are no batteries to wear out and replace. You just have to remember to raise and lower the temperature setting in the morning, evening and whenever you leave the house. The second option is the programmable thermostat. Typically, this type allows settings for four different periods each day. Some models can even handle a different schedule for each day of the week. You control the settings so they will suit your climate, schedule and temperature preferences. You can easily override your program settings anytime. The third option is a smart, or “learning” thermostat. 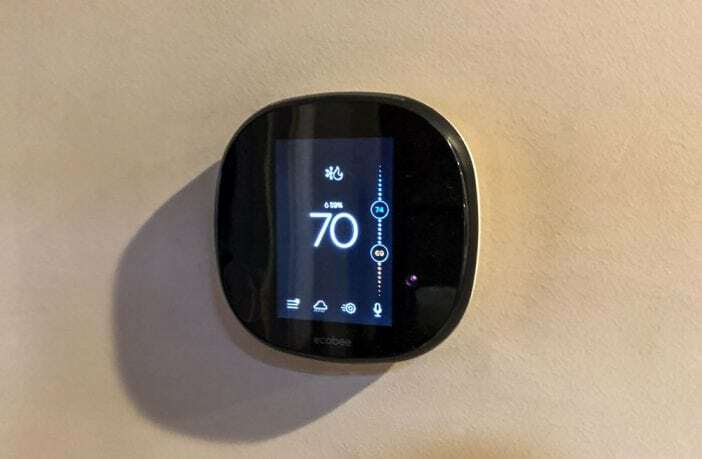 A smart thermostat connects to your home’s Wi-Fi network. After installation, you input the basics of your schedule and temperature. Over time, as you change the settings, the thermostat learns your schedule and adjusts to minimize energy use. 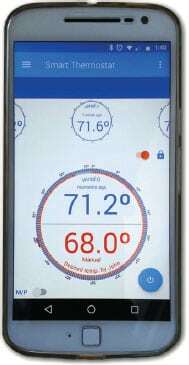 Smart thermostats can also detect when no one is home and can be controlled remotely using an app on your smart-phone or tablet. If your electric co-op has a demand response program that offers discounts for using less power during peak energy-use hours, a smart thermostat can provide additional savings on your monthly power bill. The move to smart technology is a significant investment. Units can cost up to $400, although one manufacturer has a new model for about $170. It’s also important to note that not all homes have the proper wiring in place to accommodate smart thermostats, so you may need to hire a professional to handle the installation. Back to your initial question: Are newer, more expensive thermostats worth the extra cost? How much a thermostat can save depends on how much you spend on heating and cooling your house. You can estimate your heating and cooling expenses by examining your electric bills (and other utility bills) related to heating your home. Compare the bills for winter and summer to those for spring and fall. Most of the difference is likely due to heating and cooling. If that amount is more than $900 per year, which is the national average, you have a better chance of a good return on your investment. The second factor that will determine how much you can save is how you are operating your old thermostat. 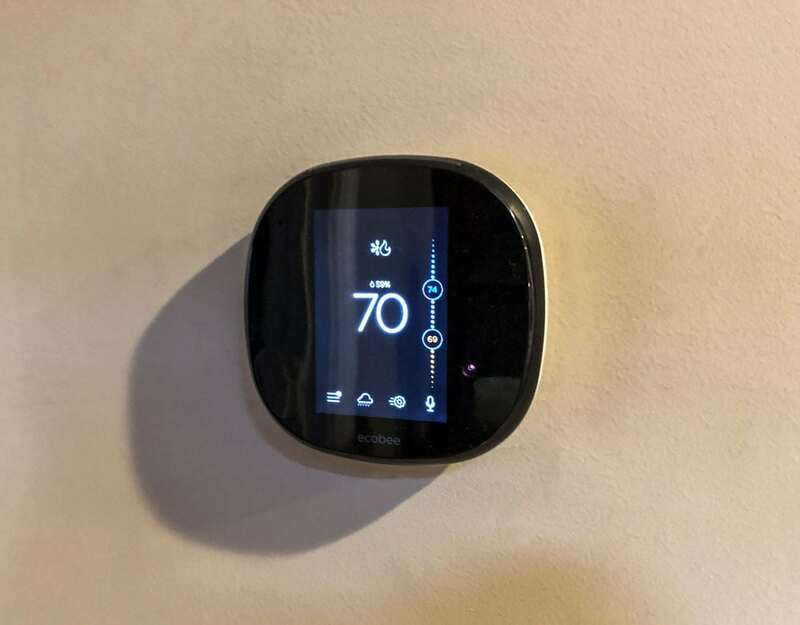 If you are conscientious about adjusting the temperature to save energy when you’re leaving the house or going to bed, the new thermostat may not reduce your bills that much, even if you program it correctly or if it learns your behavior. Don’t adjust the thermostat temperature drastically in hopes of heating or cooling your home more quickly. For the greatest savings during winter months, keep the temperature at or below 68 degrees while you are home during the day and cooler during the night; during summer months, keep it at or above 78 degrees while you are home. 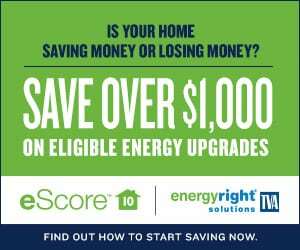 You can save up to 10 percent off your monthly heating and cooling bill by turning back your thermostat by 7 to 10 degrees for eight hours a day. The thermostat is just one piece of the energy-efficiency puzzle. You might be able to save more by adding insulation or sealing air leaks. A professional energy audit is always the best way to identify your home’s energy weaknesses. As you make your decision, don’t forget to look to your electric co-op’s website for advice, ratings and maybe even rebates. This column was co-written by Pat Keegan and Brad Thiessen of Collaborative Efficiency. For more information on thermostats and other energy tips, visit www.collaborativeefficiency.com/energytips.